David Michael Scarnato passed away peacefully December 1, 2018. Beloved husband, father and son. He is predeceased by his father, Samuel Scarnato and leaves to mourn his mother, Nancy Scarnato, his wife Julia-Scarnato-Lorenzo Morfa and children Julio and Nicolas. 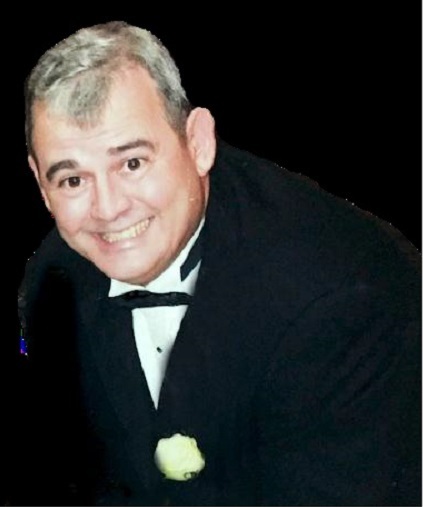 A graduate of O. Perry Walker, he later went on to complete his degree in Hotel Restaurant Management at UNO which lead him to an adventurous career in Hotel Management for more than 30 years, mostly in Orlando, Florida where he was Council Board Member. David was active in the Catholic Church, a member of The Knights of Columbus and The Hispanic Apostolate Diocese of Baton Rouge as well. He was an avid sports fan and a volunteer Little League Baseball Coach. He was a talented story teller, great cook and a very loyal friend to many people. He will be remembered for his great charisma and generosity. He demonstrated bravery throughout his battle with cancer showing his appreciation for those who cared for him. Also survived by his siblings: Beth Miller (John McCusker), Susan Wishlinski, Julie Fangue (David), and Joni Kobrock (Eric). His family and friends are invited to celebrate his life beginning Friday at Resthaven Funeral Home 11817 Jefferson Highway Baton Rouge, LA 70816 from 4:30pm to 8:30pm. Saturday services at St. Pius X Church, 6380 Hooper Road Baton Rouge, LA 70811. Visitation at 10:30am, Memorial Mass at 1:00pm. In Lieu of flowers, donations may be made to The Hispanic Apostolate of Baton Rouge or to the family for scholarship funds for his children..